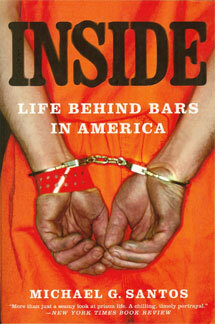 Justin Paperny, the author of Lessons From Prison, was confined with me at Taft Camp for about one year. While he was here we developed a friendship and I had the opportunity to work with him as he made preparations for release. He participated in a class that I taught, and after listening to the message I presented, made a commitment to use his experience as a teaching tool to help others make decisions that will enhance their lives. He told his story through his book and, although I provided him with some suggestions while he was writing it, I decided to read the book in its entirety for the first time because of news I’ve received describing how helpful others found Justin’s book. Throughout the course of my lengthy imprisonment, I’ve taught courses with thousands of participants. My message always focuses on steps we can take to overcome adversity and to prepare for law abiding, successful lives upon release. From reading Justin’s book, I see that he really embraced this message, incorporating it into his life and expanding upon it in a way that far exceeds anyone else who has participated in my classes. By reading Justin’s book, I learned more about the pressures that influence people who come from privileged backgrounds, study in top universities, and lead distinguished, professional careers. Justin spoke honestly about his background and the decisions that led him into troubles with the criminal justice system. He called it “the fraud triangle,” saying that when an individual feels pressure of some sort, has a position that allows him to cheat, and can rationalize his act, he becomes susceptible to fraud. It’s a struggle that many white-collar offenders describe, but Justin articulates it well in his book. More importantly, he shows how an individual can redeem himself and work toward leading a more responsible, contributing life. Justin’s book and the descriptions he provides will give me a tangible product I can use to show others that with discipline, we can triumph over adversity. Although Justin doesn’t like to acknowledge the adversity he conquered, I’ve seen one-year prison terms drive weaker men to the brink of suicide. I admire Justin’s strength, his discipline, and willingness to work toward something better. He’s an excellent example I can use to show others that those who work can emerge stronger from adversity.